Tromontina Inox Brazil Stainless Steel SERVING TRAY 16 1/2" X 11 1/2" X 1"
As pictured, many thanks for looking! 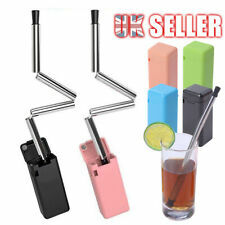 Portable Collapsible Drinking Straw Stainless Reusable Travel Outdoor Straws UK. 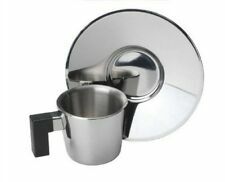 A Contemporary, stylish stainless steel cappuccino cup. ISLE OF MAN, ISLE OF WIGHT, GUERNSEY, JERSEY &CHANNEL ISLANDS. WHEREVER POSSIBLE WE STRIVE TO USE RECYCLED MATERIAL. 02 - New, unused. Either no box, or boxed but seal opened. 11 - UNTESTED ITEM, may be incomplete or not working. 10 - Unlikely to function reliably, end of life, suitable for collector only. IMPORTANT INFORMATION. Hidden treasure! A rare find! 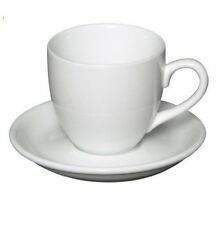 Espresso cup and saucer. 18/10 Stainless steel. Mirror finish. Double wall construction to keep the contents hotter whilst maintaining a cool outer. Dishwasher safe. Cup height: 6cm. Cup diameter (top): 6cm. Saucer diameter: 12cm. Designed exclusively for illy. sold in sets of 3 spoons. Illy Espresso Spoon. Model Ombra. 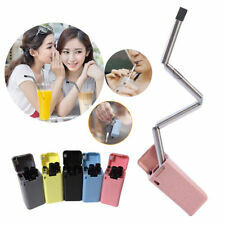 35ml Portable Stainless Steel Wine Drinking Shot Glasses Barware Cup. 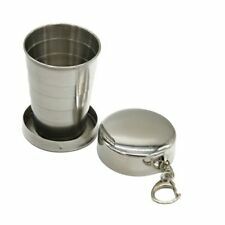 Mini Stainless Steel Flask Wine Cup Tumbler 35ml 1oz. Capacity: approx. Easy to grasp, with rounded edges for drinking comfort. 1 x Stainless Steel Cup 1oz. Nespresso 2 View Cappuccino Coffee Cups & Saucers New Boxed. Dispatched with Royal Mail 2nd Class. Very nice stainless steel different sizes. Biggest one is 12,5cm high. Second one is 12 cm high. Third one is 11cm high. I am having a massive house clearance. Please check my other items for sale. Material: Cup: glass, spoon: stainless steel. 15 2.5cm/ 5.9" X 1"/ Length X Width (Spoon). 1 X Cup mat. 1 X Wipe Cup Cloth. As different computers display colors differently, the color of the actual item may vary slightly from the above images. Smart set of coffee cups with matching saucers. Small but perfectly formed! Stainless steel and I think double walled cups with neat handles and nice proportion. Smoke free home, these would look at home as much on the breakfast or dinner table as much as in the garden or in a glam motor home as they are unbreakable. Will be well wrapped and posted recorded.